Before you begin working your way to foreign language fluency, it helps to understand the culture behind the language you’re learning. After all, language exists to help a group of people express their ideas and beliefs. Germany is an old country with a rich history and culture. As you begin your German language program, gaining a strong grasp on this history, the values, and the etiquette will help you rapidly achieve success. In particular, Germans are required to carry ID on them while living and traveling in Germany. It’s important to know what this means for you as a visitor in the country. Every German citizen is required to carry an identification card (“Ausweis”) and to use it at public facilities like libraries, or when registering for any official service (including registering children for public schools). Visitors who are planning to remain in Germany for less than three months are allowed to use their passport as a form of identification, but those who choose to stay any longer will need to acquire a residence permit, known as an “Aufenthaltserlaubnis”, or a confirmation of a registration, called an “Anmeldebestätigung,” from the local authority. 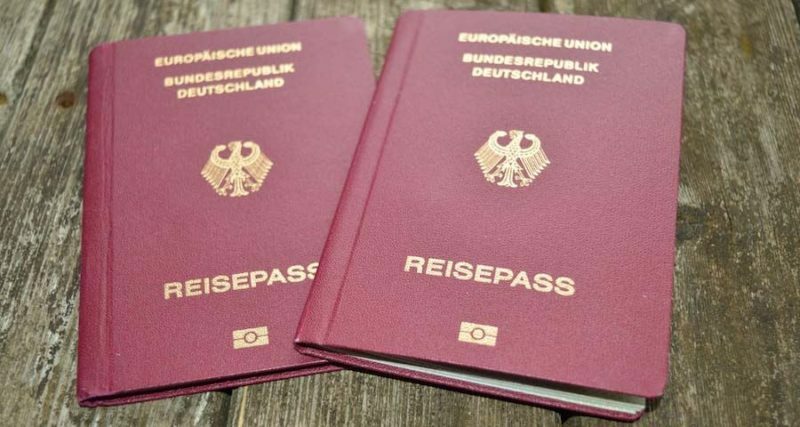 All German citizens are required to have one or the other sources of documentation, and either one of these two official documents will serve as proof of residence. Those who are looking to secure national identification are advised to contact the Foreign Nationals Office, or “Ausländeramt”, for further details. They should also be advised that the full process may take some time, as there are thousands of other applicants, and the Foreign Nationals Office will deal with each as soon as possible. Americans who may have completed an application form before arriving in Germany are strongly advised that German immigration officials be notified upon arrival of any intent to apply for a work permit while in the country. If this step is not taken, the applicant runs the risk of being labeled ineligible for work.